Even the name of it makes ya curious, doesn't it? This soft, Italian cow's milk cheese is a bit nutty and a force to be reckoned with, AKA it's a heavy one. 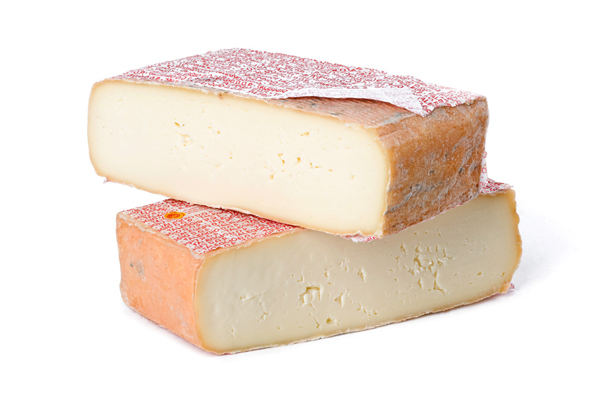 Taleggio has a strong scent, but is actually fairly mild so don't let it fool ya. The rind is edible and honestly, the crystal-y orange edges are probably my favorite part.